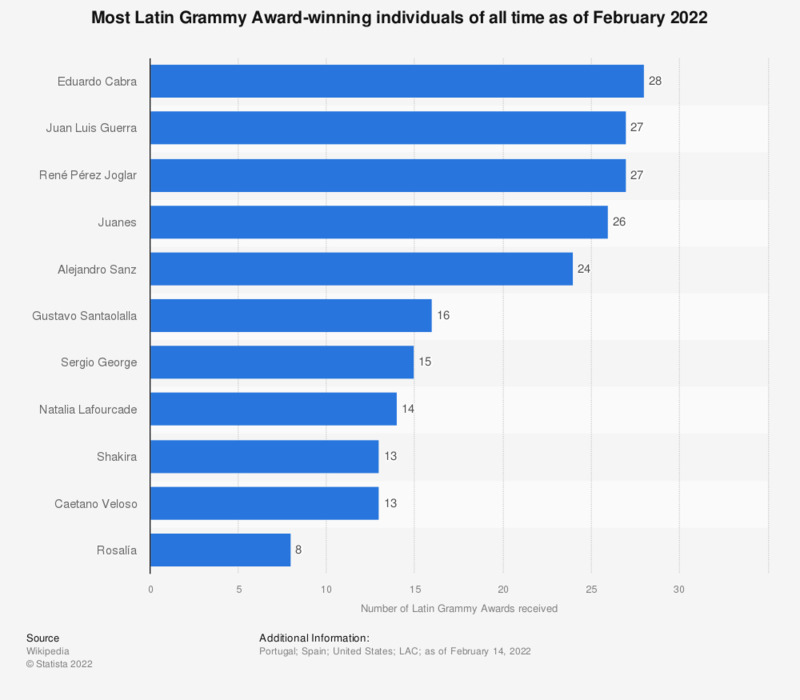 The statistic shows the most Latin Grammy Award-winning individuals of all time. As of 2018, Puerto Rican rapper Rene Perez Joglar, often known as 'Residente' and Eduardo Cabra or 'Visitante', both from the band Calle 13, had won the most Grammy Awards of all time with a total of 24 each. Who would you most like to be in a rock band?